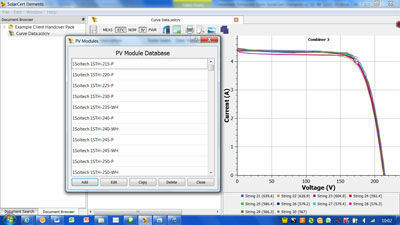 - Built-in database containing manufacturer’s data for 14,000 PV modules. - Free 14 day trial available. 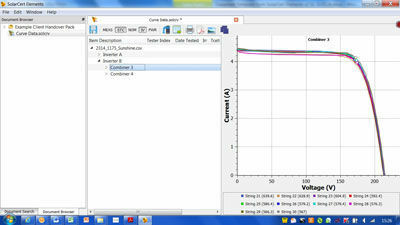 Comprehensive PV installation, operation and maintenance software for analysis, reporting and certification. SolarCert Elements v2 is a dedicated software program which enables PV system installers to quickly and easily analyze the performance, efficiency and safety of PV systems and modules using measurements taken from the Seaward range of PV testers. 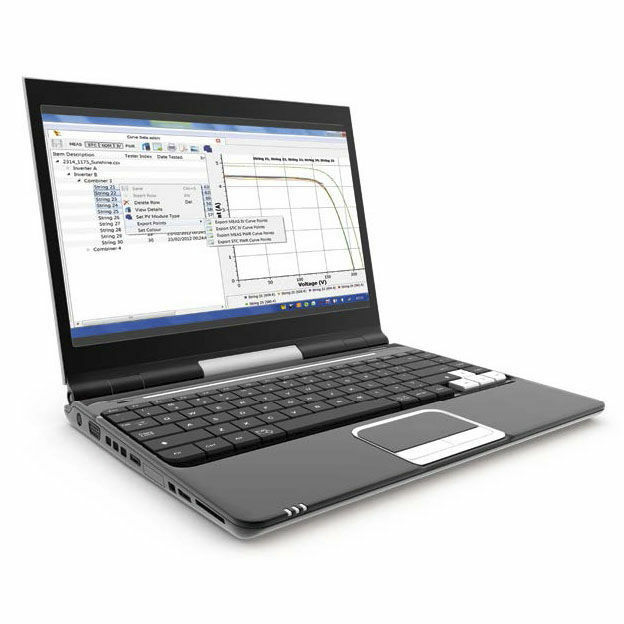 The software program is easy-to-use and provides a simple checklist of items to enable PV system information and reports including photographs, certificates, system specifications and performance information to be compiled in accordance with the IEC 62446 standard. 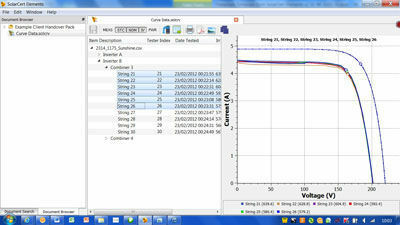 Electrical measurement, irradiance and temperature data is easily imported via USB download from a Seaward PV tester. SolarCert Elements v2 uses the data to effortlessly produce electrical test certification and system diagrams, and includes I-V curve analysis and reporting features to allow detailed performance analysis of PV systems and modules. 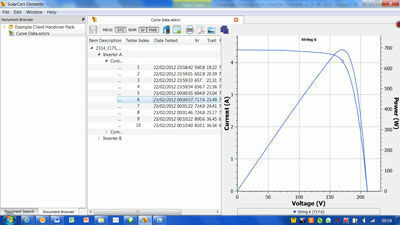 I-V curves and power curves can be displayed, showing measurements for multiple strings on a color graph.